"Is this the best Marvel film of 2018? " Audiences were hit with the high-powered blockbuster Black Panther early in 2018 and then had their hearts torn out with the behemoth entry in the Marvel Cinematic Universe with Avengers: Infinity War. Thinking that might be all the superhero antics that people can handle in one year, Kevin Feige and the team at Disney seem to be saying, 'There is never enough of Marvel superheroes.' 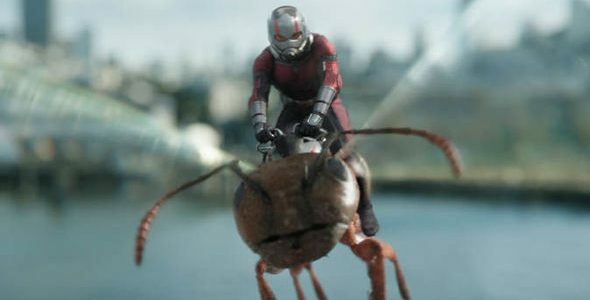 Hence, the release of Ant-man and The Wasp comes out for the summer and answers the question of why this pint-sized warrior was not in amongst the team fighting Thanos (Josh Brolin) in Infinity War. Set two years after the internal struggle between the Avengers in Captain America: Civil War and before the devastating impact of Avengers: Infinity War, Scott Lang (Paul Rudd) is under house arrest because of the UN-sanctioned Sokovia Accords. In amongst the boredom of living alone in his home, he tries to balance the start of a new business with Luis (Michael Peña), caring for his daughter and determining how he can make things right with his mentor, Hank Pym (Michael Douglas) and Hope Van Dyne (Evangeline Lilly). He had lost touch with them after stealing the Ant-man suit to help Captain America in the fight with Ironman. With only days away from being a free man and leaving his home for the first time in two years, Hank and Hope present Scott with a means of making amends by assisting them in potentially finding the matriarch of the Pym family, Janet Van Dyne (Michelle Pfieffer) who had been lost for 30 years in the sub-atomic realm. Against his better judgment, he reluctantly chooses to jeopardize his freedom to help his former love interest and her father. In their admirable attempt to reach Janet, the team’s work is threatened by an unknown adversary who has personal plans for the Pym tech. Lang must partner with the newly equipped Hope Van Dyne who now wears the label of The Wasp to thwart the workings of The Ghost (Hannah John-Kamen) before the opportunity to save Janet fades away. Even for those who are experiencing superhero fatigue, director Peyton Reed delivers a fresh adventure that helps to cleanse the pallet of the dreary element of the previous films within this genre. Rudd and company manage to bring levity and humor that lifts the MCU out of the potential dreariness experienced by the DC Universe. The comedian turned action star provides the laughs and human touch that makes this hero one of the most endearing and appealing of The Avengers. He capitalizes on the rapid-fire timing of Michael Peña and the legendary star power of Douglas, Pfeiffer and Laurence Fishburne to bring a perfectly balanced action comedy to keep fans interested until the second chapter of the Avengers saga. 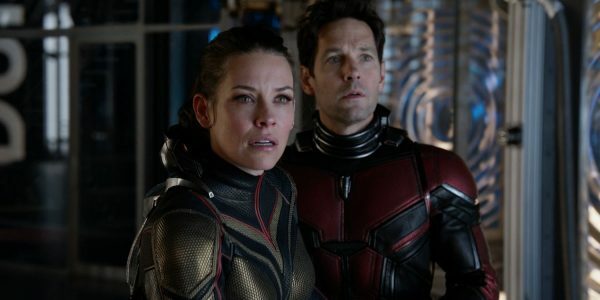 To ramp up the action and add a bit of relational tension into the mix, Evangeline Lilly proves to be the perfect combination with Rudd to round out what has the potential to be the most appealing of the Marvel films of 2018. The critical element that helps Ant-man and The Wasp above the other MCU inclusions and Deadpool 2 is that this is a film for all of the family. It may not be as enjoyable for young ones like Incredibles 2, but Reed manages to prove that superhero films can be made for all generations. This movie is fun, engaging, smart and will entertain everyone in the family. It would help audiences to understand the underlying narratives and inside jokes by viewing Ant-man, Captain America: Civil War, and Avengers: Infinity War prior to going to this chapter in the MCU. Beyond this small requirement, this is one of the most accessible and enjoyable films for families this year.